Don’t let lawn pests destroy the look of your lawn. Great Lawn Pest Management is essential to keep your lawn healthy and beautiful! At Ideal Lawncare we will provide you with a Professional Lawn Pest Management Service to make sure your lawn doesn’t look like either of the pictures above. 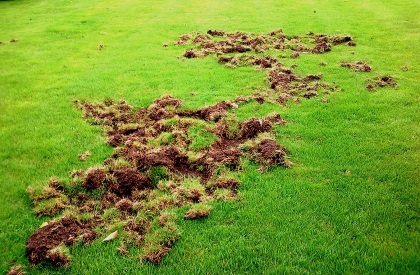 In the UK there are two nuisance pests that can potentially cause serious damage to lawns. The Chafer Grub and Leatherjacket (Daddy-longlegs) are two insects that can live in the soil beneath lawns. 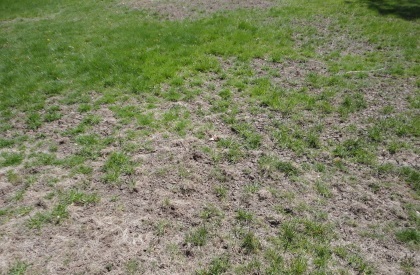 They both can cause extensive damage by eating the root system of the infected lawn, killing the grass completely. An effective prevention strategy is to apply the appropriate insecticide to your lawn prior to the damage being caused.